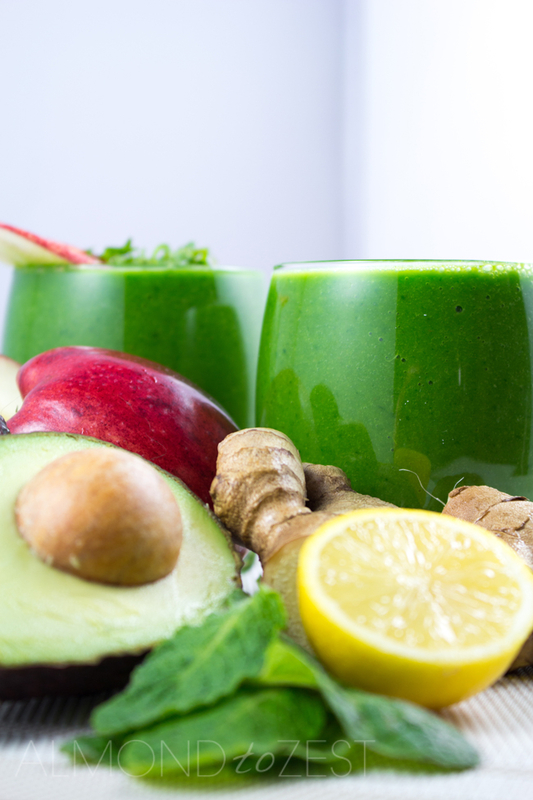 This healthy green smoothie recipe is packed with vitamins and nutrients to keep your immune system strong. 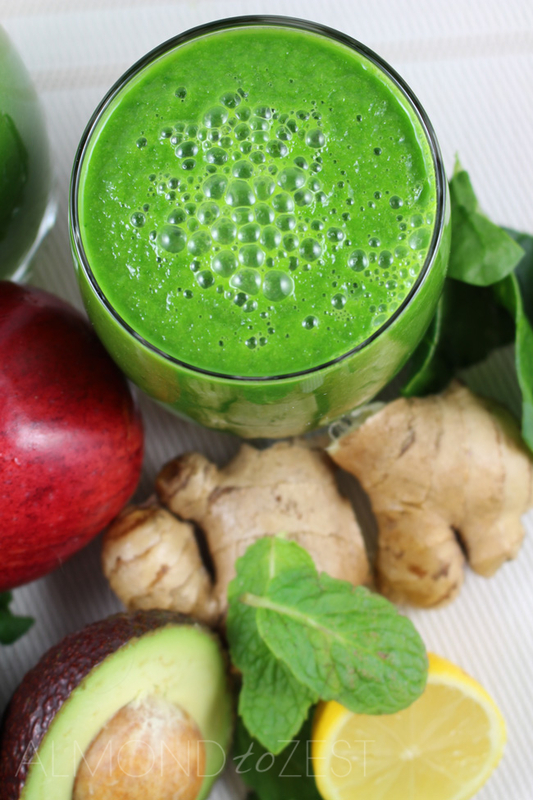 Avocado, spinach, apple, mint, ginger and lemon juice blended together to form a refreshing and delicious smoothie. This one is especially good on those hot days! Whoever came up with the idea of blending green vegetables into a liquid form is a genius. Green smoothies have changed my life and if you haven’t had one yet then make today the day. For years I have had a bad habit of not consuming my five plus of fruit and vegetables a day, but not anymore. And the best thing is you don’t have to cook anything up to get the healthy benefits. This version is light, fresh and tasty. Avocados – Loaded with fiber and heart healthy monounsaturated fats. Also contain antioxidants which have been proven to be important for eye health. Ginger – Used for centuries by many cultures for its medicinal properties. Helps with digestion, reduces nausea and can fight off colds and flu. Also is a powerful anti inflammatory. Spinach – A low calorie super-food packed to the brim with nutrients. An excellent source of vitamins K, A, C, B2, B6, magnesium, iron, calcium and potassium. A good source of protein, fiber and omega-3 fatty acids. If you’re after more healthy smoothies you might like to try our Tropicana Smoothie, Oaty Blueberry Smoothie and Cinnamon Twist Smoothie. These smoothies are healthy, delicious and of course they’re all super simple to make.